Some in the Tibetan exile community and Tibet supporters have stated hopefully that Xi Jinping, expected to be the next President of China, may improve China’s policies on Tibet and may even be more open to dialogue with His Holiness. The basis for this belief seems to be because Xi’s father met and received a watch from His Holiness, and was friendly with the late 10th Panchen Lama. Also, Xi’s wife is reported to be a Buddhist (as well as a folk singer and a Major General in the PLA). The Chinese Communist Party is expected to hold its 18th Party Congress starting November 8th. It was originally scheduled for October but the short disappearance from the public eye of Xi Jinping, for unknown reasons, led it to be re-scheduled for November. One of the most important tasks of the 18th Party Congress is to choose the next Politburo its elite Standing Committee, the most powerful political group in China. Xi’s career has been one of a slowly rising bureaucrat within the Party and his father’s connections certainly helped. Xi formally joined the Party in 1974 and in 1982 became Party Secretary of Zhengding County Committee. Xi has served in various Party positions in four provinces: Shaanxi (1969-75), Hebei (1982-1985), Fujian (1985-2002), and Zhejiang (2002-2007). In 2000, he was promoted to Governor of Fujian province. In 2002, Xi became Party Secretary of Zhejiang Province and in 2007 Xi was appointed Party chief of Shanghai after Chen Liangyu was dismissed from that post due to a social security scandal. Xi was appointed to the Party’s Central Committee in 2002 and in 2007 joined the all-powerful Politburo. In 2008, Xi became Vice-President of China, joining Hu Jintao and Wen Jiabao as three of the most powerful leaders in China. Xi was also in charge of the preparations for the 2008 Olympics, is the President of the Central Party School, is a Vice-Chairman of the Central Military Commission, and was in charge of 6521 Project to ensure social stability during politically sensitive anniversaries in 2009. Needless to say, Xi probably did not get where he is now by being soft on Tibet or liberal in his policies towards ethnic minorities or dissidents. Xi had powerful connections and closely followed the prevailing Party line on political issues throughout his career. In July 2011, Xi Jinping said that he would smash “separatist activities” in Tibet by the “Dalai clique.” Xi also said “Tibet has achieved all-round economic and social development” and “[t]he religious beliefs of the people are fully respected and protected,” even as the number of Tibetan self-immolations increased and China closed Tibet to foreign journalists and human rights investigators. Xi also said that “without the [Chinese Communist Party] there would be no new China, and no new Tibet.” Of course, without the CCP, there would have also been no destruction of the monasteries, no repression of monks and nuns, no jailing of Tibetan dissidents, no famine during the Great Leap Forward, no pollution of Tibet’s environment, no forced relocation of nomads, no attacks against Tibetan culture by the authorities, and no self-immolations of Tibetans protesting Chinese repression. Some Chinese friends of His Holiness have suggested that the next generation of Chinese leaders may be more lenient and change the policies on Tibet for the better. However, most such Chinese are either in exile or are dissidents in China and do not have any political influence within the Party. Their comments are more likely a case of wishful thinking rather than actual intelligence on what is going on inside the Party as it prepares for the leadership handover. Ten years ago, when Hu Jintao was elevated to the supreme Chinese leadership position, there was similar speculation or wishful thinking. Would Hu’s first-hand experience in Tibet make him more realistic in his approach? Did his reserved demeanor mask a secret reformer, like a Chinese Gorbachev? Should Tibetans place hope that the new leader would break with China’s past policies? The answer turned out to be no. Similarly, during the rule of Jiang Zemin, there was a slim hope held out. It was said that, because Jiang had a “soft spot” for Buddhism, he might relax policies on Tibet once he established himself in power after a few years in office. In fact the opposite happened; Jiang presided over the Third Work Forum on Tibet in 1994, which set the stage for the drastically elevated levels of repression that continue to this very day. We see little credible evidence that Xi Jinping or the Party will change China’s current policies towards Tibet and His Holiness in any significant way. Xi did not become the next expected President of China by having a soft spot for Tibetans. There is another good reason to be doubtful that China will relax its Tibet policies. Following a scandal in early September, Hu Jintao’s close ally, Ling Jihua, was demoted to head the United Front office. This is the Communist Party office that develops Tibet policies and manages the so-called “dialogue” with His Holiness’s representatives. 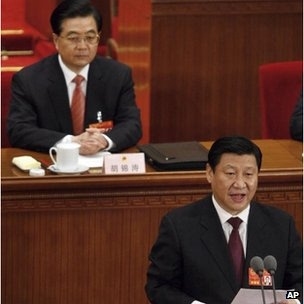 That means that Hu Jintao will continue to wield power over China’s Tibet policies. 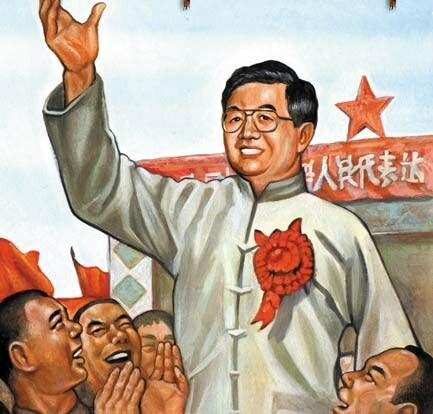 Most importantly, the Party today is ruled by a consensus among the top leadership, not by individuals who wield enormous influence like Mao did when he was China’s leader. The evidence to date suggests the consensus in the Party is towards no tolerance for Tibetan “splittism” or any public sign of support for His Holiness. Chinese lawyers, including those who wrote the Gongmeng report, also cite evidence that the self-interest of China’s vast “anti-splittist bureaucracy” has captured China’s Tibet policy. The vested interests of this bureaucracy will not hesitate to play the “nationalist card” against any leader who (however unlikely) contemplated loosening repressive policies in Tibet. Tibet experts have also commented on the consensus-based and conservative nature of the CCP leadership and believe that any concessions the Party might make to Tibetans would be very small. There is nothing in the known background of the other Politburo members which would suggest they would change China’s current policies on Tibet. Ever since the Lhasa protests of the late 1980s, China’s response to Tibetan protests or demands for more freedom have been met with violence, repression, and imprisonment. Since the 2008 mass Tibetan protests and self-immolations since 2009, China has increased security on the Tibetan Plateau, set up roadblocks, maintained armed patrols on Tibetan streets, restricted travel of Tibetans between U-Tsang, Kham and Amdo, arrested anyone who challenges the Party’s rule over Tibet, banned images of His Holiness throughout all Tibetan regions, and publicly vilified the Dalai Lama in the Chinese media. Analysts have noted that China now spends more on domestic security than on the armed forces and the number of cases involving “endangering state security” have been on the rise since 2008. By all accounts, China has transformed the entire Tibetan Plateau into a giant police state and shows no signs of relaxing its chokehold on Tibet. Officials of the Tibetan Government-in-Exile (TGIE) should not suggest that there is a likelihood of some reform or positive changes after Xi Jinping becomes President. Such comments give Tibetans a false sense of hope that the CCP will change its policies for the better when, in fact, the available evidence suggests otherwise. The CCP is not likely to provide Tibetans more freedom or more autonomy, because they fear that allowing Tibetans such freedom will only lead to “splittist” acts and growing calls for independence. The more likely scenario is that the crackdown on protestors and dissidents in Tibet will continue and the campaign against His Holiness will worsen. The CCP and its leaders are not, and will never be, friends of Tibet. Rather than hope for the impossible, it makes sense to plan for the probable. There is mounting evidence that the Communist Party’s rule over China is becoming more and more unstable. Historically, the most long-lived authoritarian regimes have been the Soviet Union (74 years), the Kuomintang (73), and the PRI in Mexico (71). The Chinese Communist Party is at 63 years, and is facing systemic and mounting troubles that make it more and more probable that China will face a crisis of governance. Suffice to say that, 100 years ago, His Holiness the 13th Dalai Lama took advantage of another crisis in Chinese governance to wrest Tibetan freedom back from its Chinese occupiers. It is time the TGIE accept reality and come up with strategies and tactics that are based on the actual facts, and not on false hopes and fantasies.